– What do you want my heart? What do you wish, my heart? 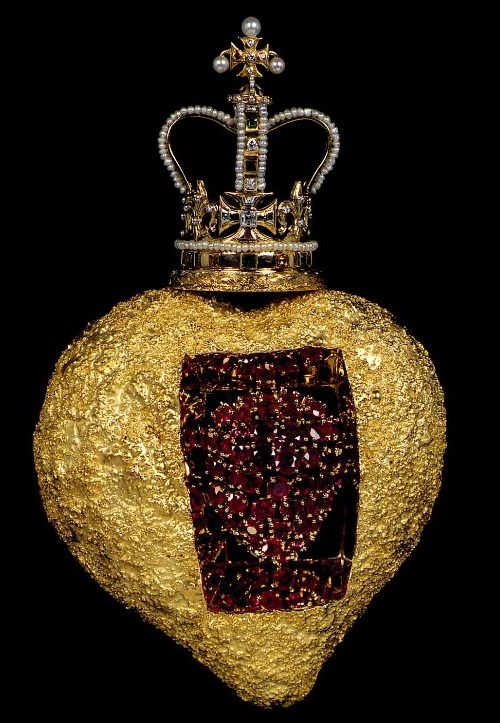 – The beating heart of the ruby! 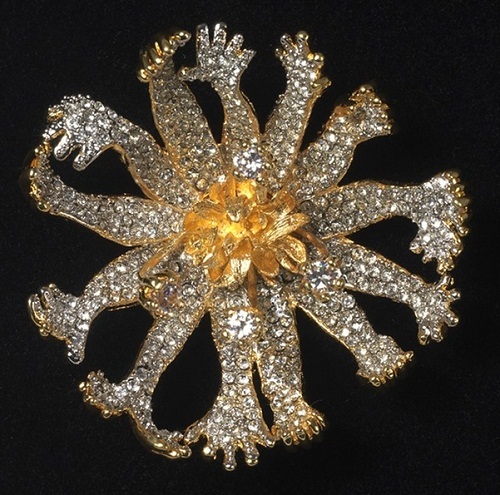 Masterpieces – like children. For their birthday are responsible two. 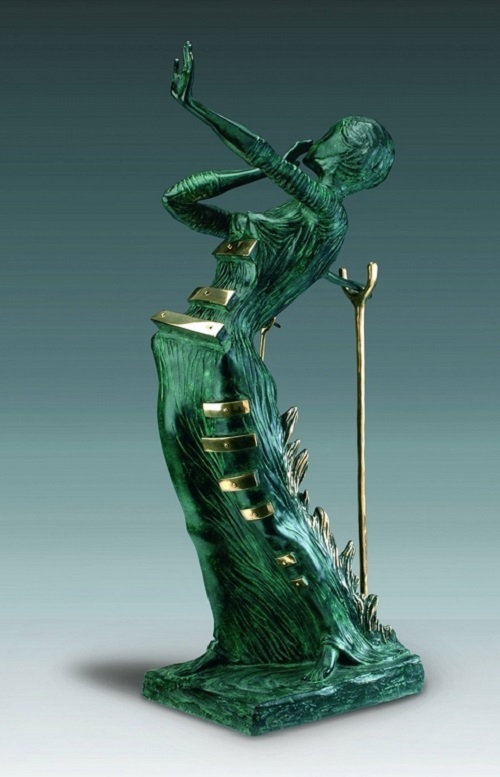 She was the muse, he – the performer. He offered a brilliant implementation of each of her insane desires. 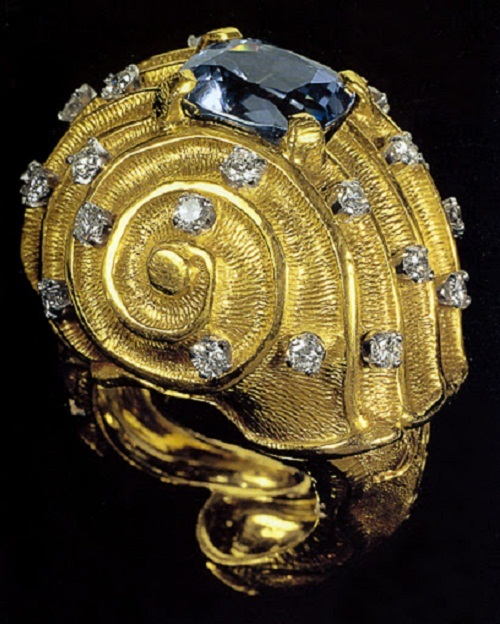 She wanted to shine and luxury – he came up with jewelry. 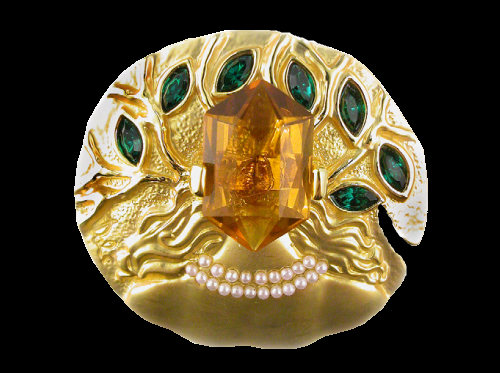 Jewellery Collection of Foundation “Gala – Salvador Dali” – a luxurious heritage of the genius. 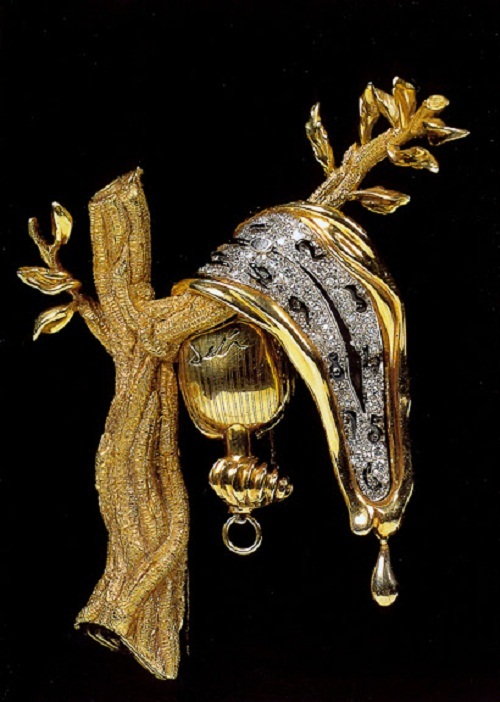 History of the jewelry collection of Salvador Dali begins in 1941. 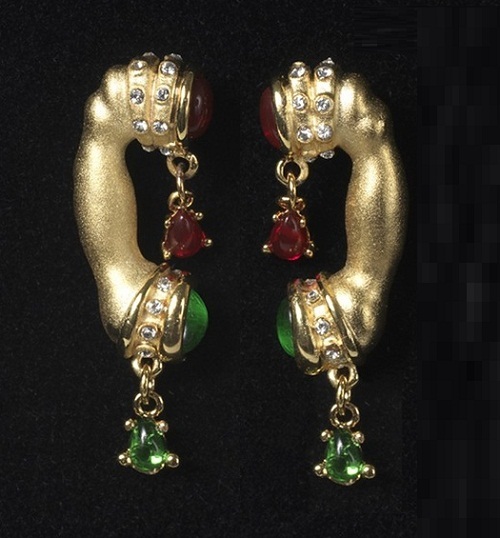 Dali drew sketches on paper, carefully working through all the details of the forms to the material and color, and then personally selected the materials and stones, and watched how a goldsmith Carlos Alemany embodies his idea of ​​gold. 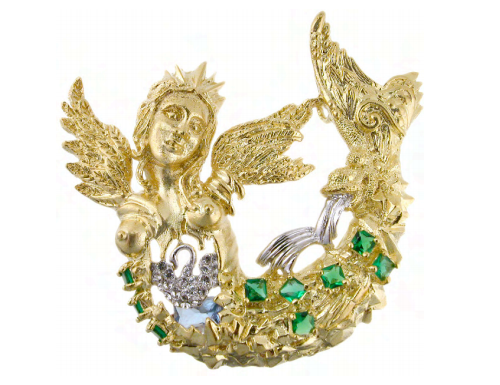 The first 22 items purchased American millionaire Cummins Catherwood, and in 1958 the owner of the collection became The Owen Cheatham Foundation, who bought and all subsequent jewelry creations of Dali. 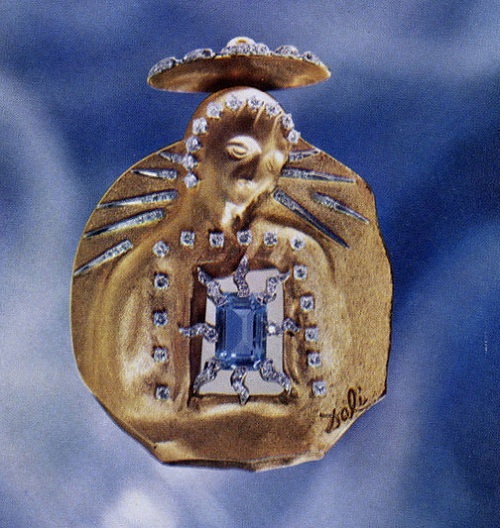 By 1970, Salvador Dali came up with 39 sketches and in collaboration with the talented jewelers created 37 jewels, which have become part of the permanent exhibition of the Fine Arts Museum of Virginia in Richmond. 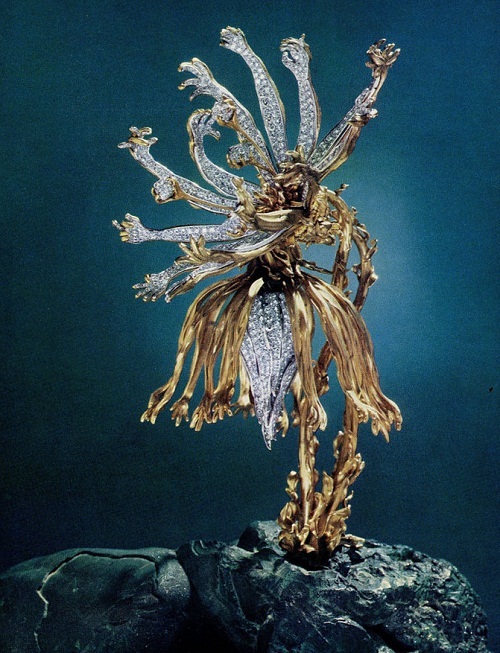 In August and September 1973, a year before the opening of the theater-museum, displaying the precious collection was held in Figueres, in the framework of the temporary exhibition. 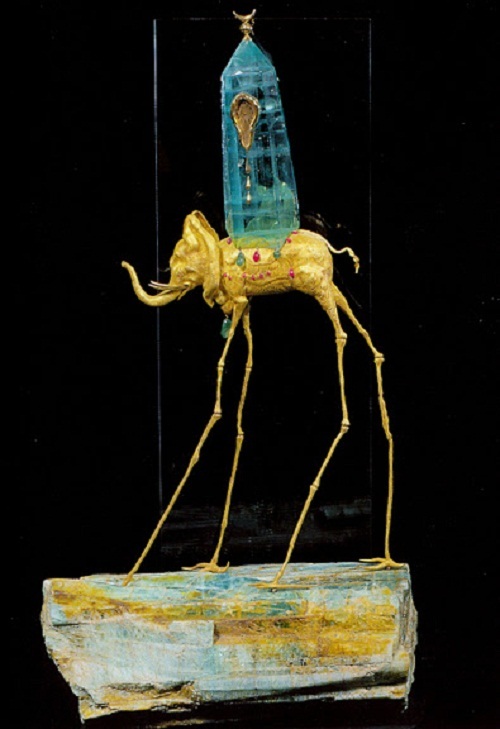 In 1981 surreal decoration became the property of the Saudi multimillionaire, who then sold the collection in parts – the three legal entities from Japan. 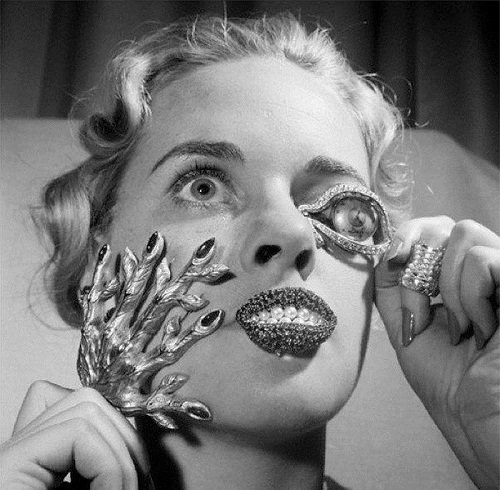 One of these customers subsequently initiated the return of jewellery masterpieces to his home in Spain. 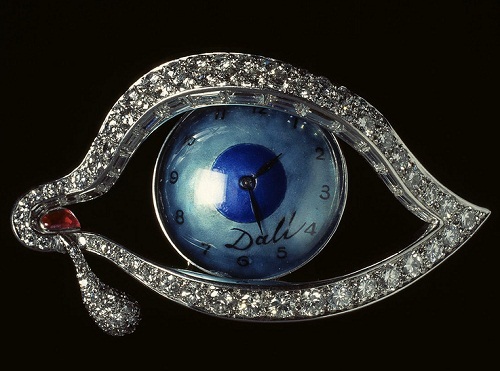 In 1999, the Foundation “Gala – Salvador Dali” bought precious collection, created by the brilliant Spaniard, for 900 million pesetas (5.5 million euros). 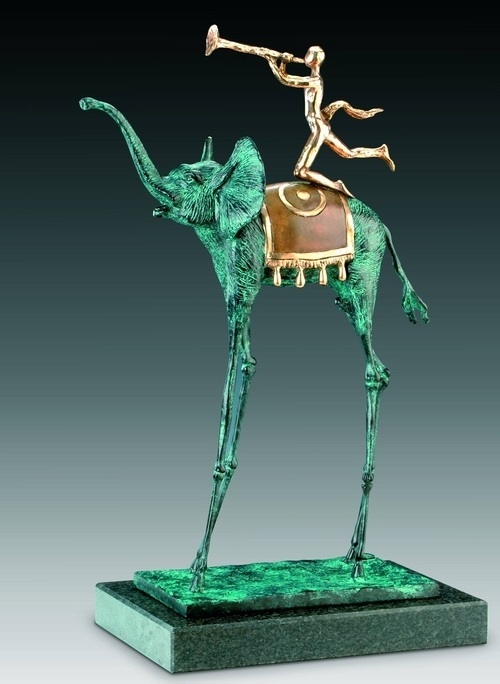 Today 39 ornaments (2 products were made according to the sketches of the artist after his death), born as surrealist fantasies of Dali, you can see in the theater-museum in Figueres, in the Galatea Tower, where a permanent exhibition hall set up for them. 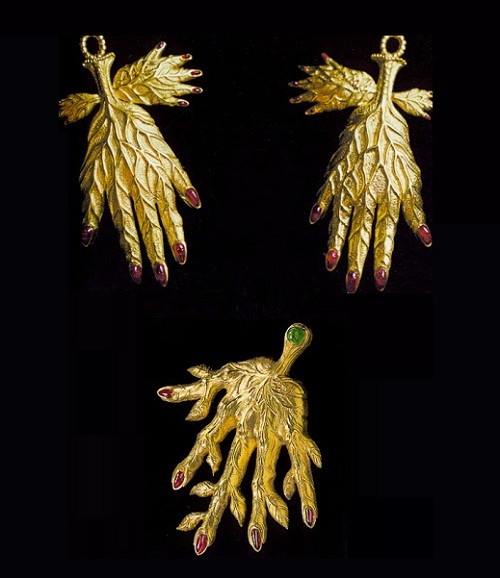 Collection of Salvador Dali jewelry is a unique combination of themes, materials, sizes and shapes – a recognizable and unmistakable handwriting of the maestro. 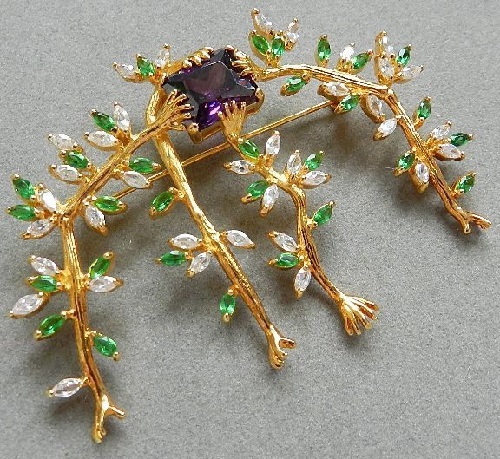 Gold, platinum, precious stones, pearls and corals are no longer just expensive materials. 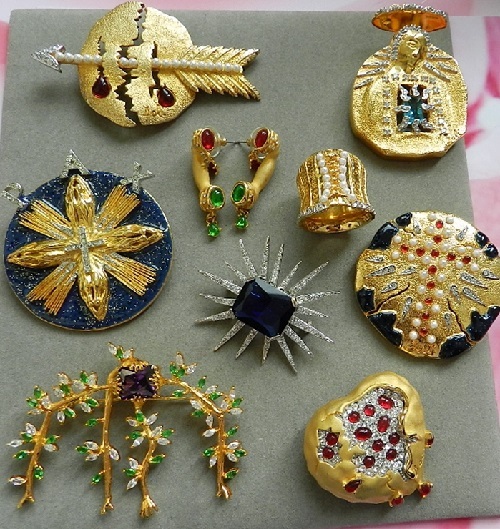 They did not even become earrings, brooches or necklaces, but turned into the heart, lips, eyes, flowers, animals and anthropomorphic forms, religious and mythological symbols. 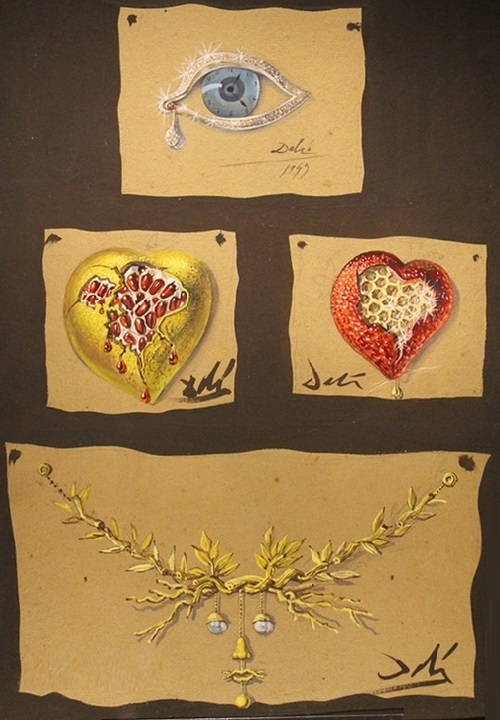 Among jewelry fantasies of Salvador Dali are favorite surreal image – “The Space Elephant” (1961), exciting, sensual “Ruby Lips” (1949), “The Living Flower”, “Time Eye” with a teardrop in the corner, “Bleeding World” (1953) and, of course, “The Royal heart”, which Gala requested. 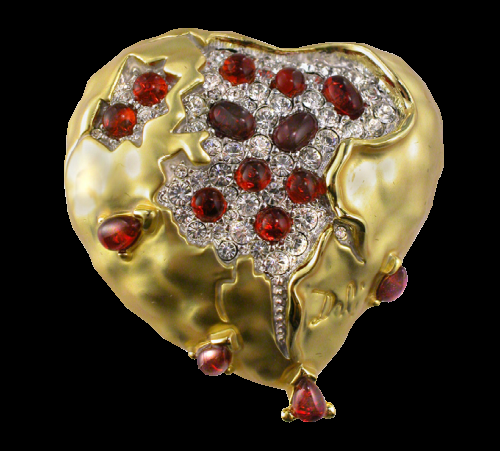 Luxurious ruby heart, without a doubt is the beating heart: 46 rubies, 42 diamonds and 4 emeralds combined into a single precious composition. 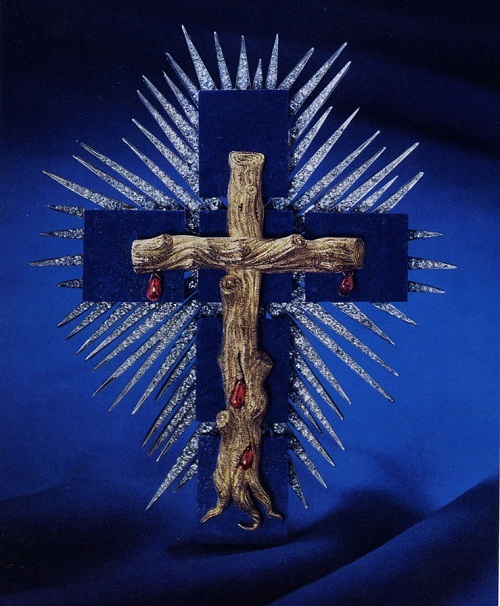 It is designed so that a movable center could “beat” as the true heart. 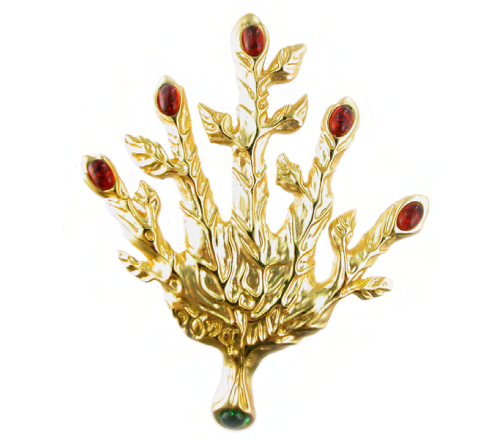 “My goal – to show the jeweler’s art in its true meaning. 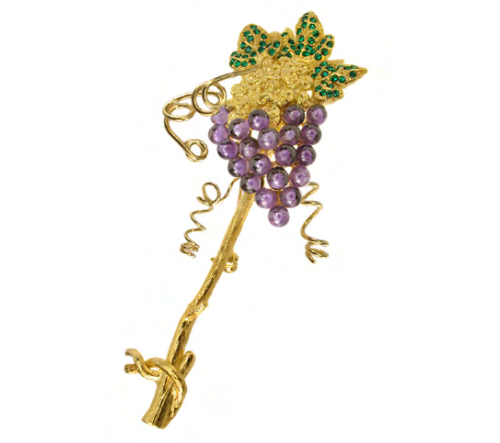 Design and craftsmanship should be worth more than precious stones and metals, as it was in the Renaissance. …. My art absorbs physics, mathematics, architecture, nuclear physics – from psychology, mysticism, not only paintings and jewelry work”. 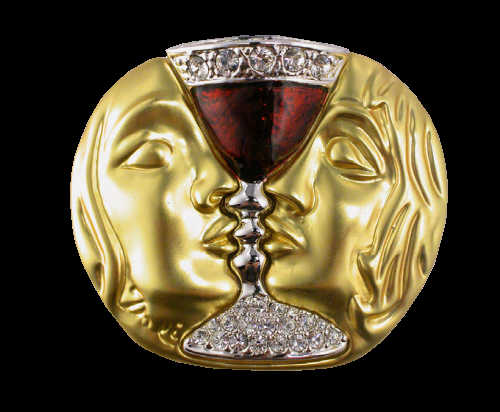 Dali created brooch “Ruby lips with teeth like pearls’ in 1958 for the actress Paulette Goddard. 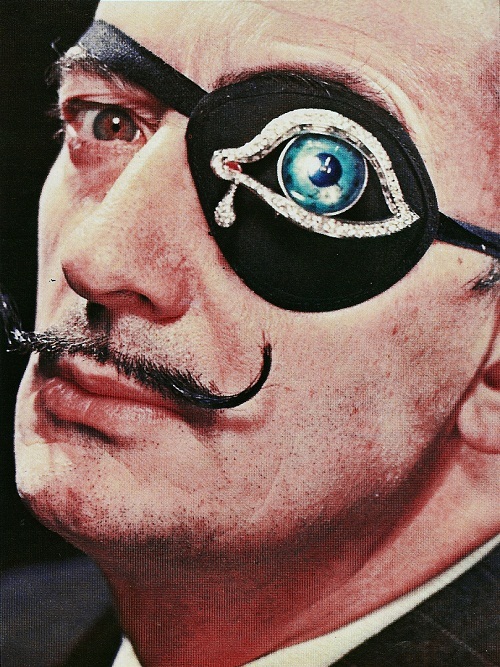 This sensual image haunted him for decades. First it appeared in a beautiful portrait of Mae West in 1934 – 1936. 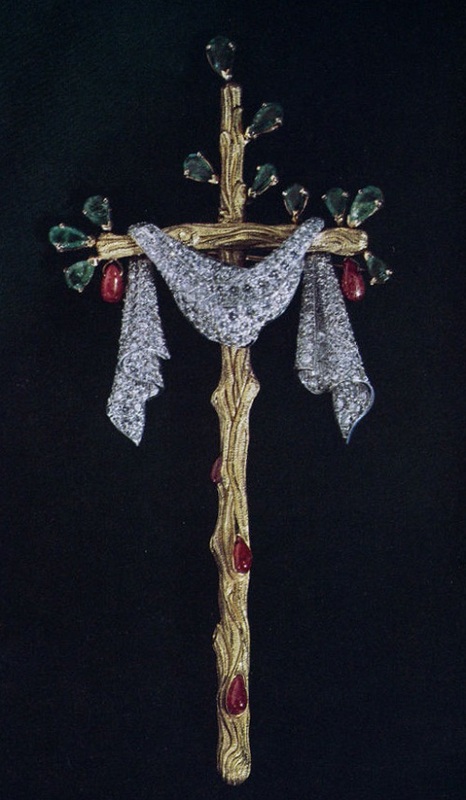 Then, in the early 1970s, in the interior of one of the rooms of his house in Figueras in a surreal sculpture. 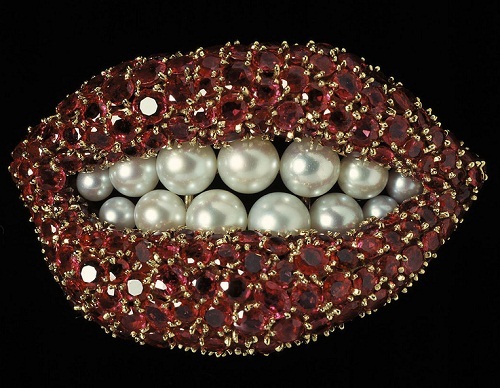 Poets of all times, in all corners of the earth compared lips of lover with ruby​​, and her teeth with pearls.